Petite Sirah has its origins in the Rhone Valley. The grape is called Durif in the Rhone and other parts of the world. It is named after Dr. Durif who discovered this grape, likely the result of cross-pollination. Petite Sirah is a smaller berry compared to other Rhone red grapes, but it produces a rather bold and robust wine. The distinguishing characteristic is its dark inky color. The Concannon Vineyard winery was the first to produce a Petite Sirah in California back in 1964. 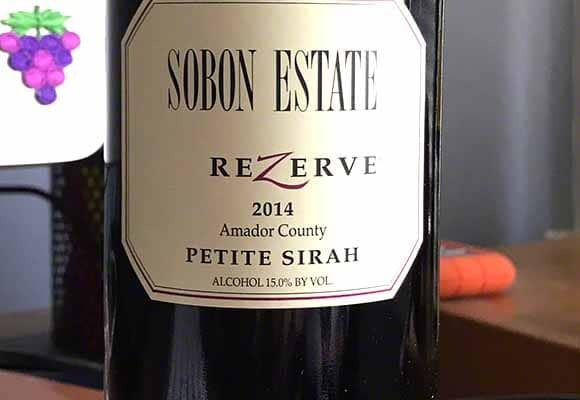 Today, Petite Sirah is gaining rapid popularity among California wine drinkers. Many wineries in several different California wine regions are producing a Petite Sirah wine. The Wine Spectator reports that Petite Sirah vineyard acreage has increased in the past 20 years from 1750 acres to nearly 10,000 acres today. Petite Sirah is usually a big, bold and full-bodied wine. Petite Sirah has lovely deep dark fruit flavors, sometimes jammy in character, with some spice and chocolate. Although it is a big wine, when made properly, it has an elegant touch in the mouth. Baby back ribs on the grill with a spice rub – the best!